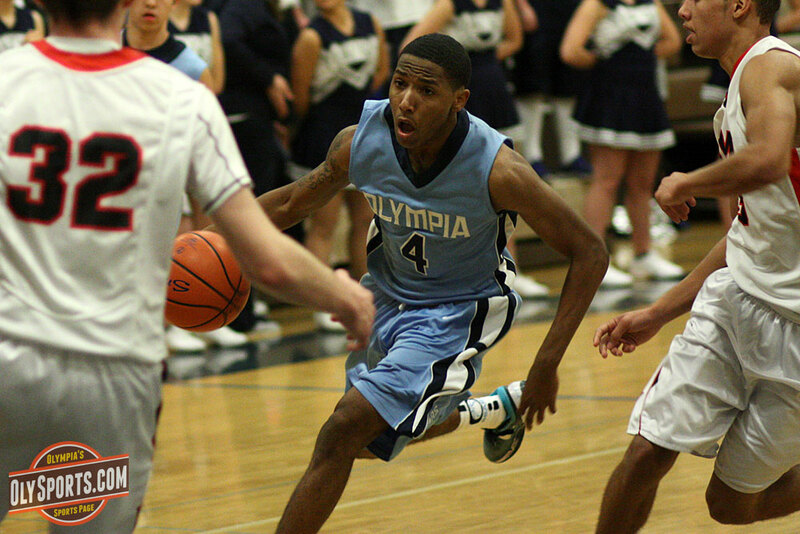 Olympia is in need of a win tonight to keep their playoff hopes alive in the 4A Narrows League. As The Olympian spelled out, there are four playoff spots available with Stadium and Gig Harbor already clinched and four teams fighting for the final two spots including Bellarmine (5-5), Yelm (5-5), South Kitsap (5-5) and Olympia (4-6). The two teams met on January 10th with the Lions taking a 54-35 win in Tacoma. The two top teams in the 2A EvCo battle tonight when WF West (9-0) takes on Black Hills (8-2). The Wolves might have more at stake than the Bearcats. After their loss to River Ridge on Friday, a loss to the Bearcats tonight would drop them into a tie with the Hawks. WF West took the first meeting in Chehalis 70-42. Posted on February 4, 2014, in Basketball, Black Hills HS, High school, North Thurston HS, Olympia HS, Pope John Paul II HS, Tumwater HS. Bookmark the permalink. Leave a comment.